After the great success of HI TEMP 2011 in Boston, NETZSCH-Gerätebau GmbH is pleased to invite you to attend HI TEMP 2012 Conference which will be held this year in Munich, Germany (September 11-13, 2012). HI TEMP 2012 Conference is intended to foster discussions and debate regarding the most recent understanding of "high temperature" and the state of the art in experimental studies of high temperature materials, processes, and diagnostics for scientific and technological applications. The meeting will include presentations of cutting edge results on materials such as, thermoelectric materials, thermal barriers, piezoelectric, nuclear reactor materials, radioactive waste, high temperature ceramics, catalyst, insulating materials. 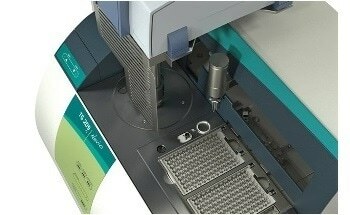 The state of the art in high temperature characterization methods will be examined with a focus on thermal analysis. The meeting will include 13 keynote lectures and about 25 oral selected contribution, as well as a poster session. The conference program has just been released. Click here to find out more about HI TEMP 2012.